SpinKit is a revolutionary mobile DJ system designed in Holland, now available in the UK through Young Guns. Powered by battery, this cleverly designed DJ console on wheels allows the DJ to perform amongst the audience, creating a more intimate experience than a conventional DJ set-up. It is swift to set up, practical to use, with a powerful crisp sound. SpinKit is available with either a male or female DJ and is particularly appropriate for festivals and experiential events. 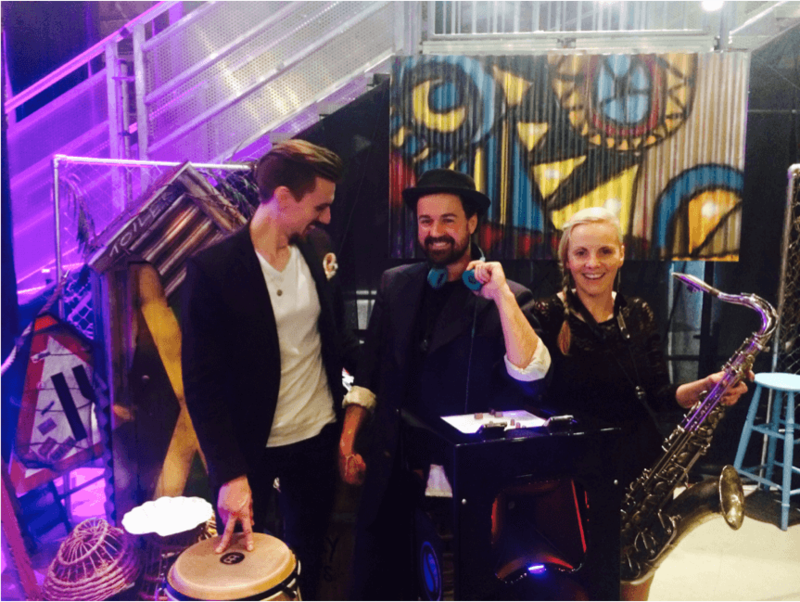 The style can range from chill-out to upbeat party music; a saxophonist and percussionist are added to create the full experience of Spinkit Collective. The group can adapt their set to match particular stages of event proceedings, starting off as background music and becoming more upbeat as the evening progresses.